Marriage is a relationship of oneness and fidelity, meant to typify faithfulness within the Godhead, and there is nothing more beautiful and fulfilling in human relationships. 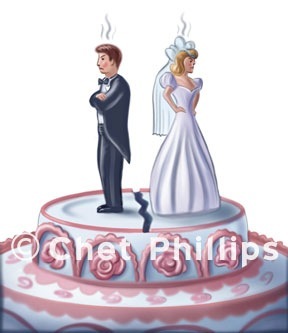 Likewise, nothing is more reprehensible or painful than infidelity and divorce. The bible tells us that God views idolatry as the sin of adultery, which is God’s relationship with the nation Israel. “Then the Lord said to me, “Go again, love a woman who is loved by a lover and is committing adultery, just like the love of the Lord for the children of Israel, who look to other gods and love the raisin cakes of the pagan.” Hosea 3:1. “Then I saw that for all the causes for which backsliding Israel had committed adultery, I had put her away and given her a certificate of divorce; yet her treacherous sister Judah did not fear, but went and played the harlot also. “So it came to pass, through her casual harlotry, that she defiled the land and committed adultery with stones and trees” Jeremiah 3:8-9. Experts say the most hurtful experience is divorce, because while the death of a loved one is second on the list, finally, it becomes only a memory, but while the divorced people live the experience lives on. The greater the heart, the more pain it feels! I cannot explain how God can experience perfect peace and joy, and at the same time be grieved, but that is how the bible explains Him. God is infinite in love and character; can you imagine how the sin of idolatry (adultery) makes Him feel? Dear Christian, we should come to abhor all sins of idolatry, as they are adultery toward God!